Look here for live results from the day 4 prelims of 2016 NCSA Championships. 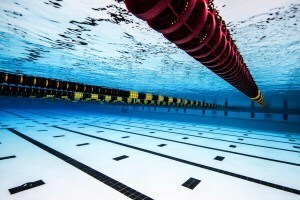 All videos courtesy USA Swimming. You can watch B, C, D, and E finals on USA Swimming’s Youtube channel. Fifteen-year-old Lucie Nordmann of Magnolia scored a big win in the girls’ 100 back, swimming the event in 1:01.18. That time is faster than Nordmann’s best by nearly two seconds. With tonight’s swim, Nordmann moves from 72nd on the All-Time Top 100 List for 15-16 (1:02.88) to 11th. Second seed Autumn Haebig held with her place going into the event, finishing second in 1:01.71. The duo were the only two swimmers under 1:02 or 1:03. Third place went to Alexandra Sumner of the Suburban Seahawks, another fifteen-year-old, in 1:03.16. Nation’s Capital’s Carrie Boone was close behind with 1:03.19. Erin Earley and Eireni Moshos hit one right after another in 1:03.80 and 1:03.81, followed by Hannah Lindsey in 1:04.02 and Caroline Famous in 1:04.52. Dean Farris scored his first win of the weekend, after taking second in the 200 back, tonight in the 100. He finished nearly a second ahead of the field with 56.43. St. Charles’s Tyler Sesvold made a huge jump after just edging his way into the ‘A’ final with eighth place this morning, swimming 56.92 for the silver medal. Dylan Curtis followed close behind in 57.01. Frederick Schubert grabbed fourth in 57.29, George Wozencraft took fifth in 57.83, Ethan Young finished sixth in 58.00, Sam Cuthbert took seventh in 58.35, and eighth went to Luke Sobolewski in 59.41. Paige Madden of the City of Mobile Swim Association scored a big win in the girls’ 400 meter free, swimming the event in 4:12.46. She came in four seconds ahead of the field (and the Field), as Magnolia’s Joy Field made a huge move from her eighth-place seed to win the silver medal in 4:16.52. Greater Tampa’s Morgan Tankersly finished third in 4:16.52, followed by Stanford commit and 200 champion Katie Drabot of Ozaukee in 4:16.53. Isabella Rongione and Megan Byrnes of Nation’s Capital finished 5th and 7th with 4:18.29 and 4:19.90, and Lindsay Stone of Pack came in between them with 4:18.92 for sixth. Genevieve Pfeifer rounded out the ‘A’ final with 4:21.48. Dean Farris scored his second event title of the weekend in the 100 free with a 50.59, almost half a second up from second-place Daniel Krueger of the McFarland Spartans, who finished in 51.12. Krueger, a 16-year-old, currently holds the #2 spot in the all-time rankings for his age group with a 50.01 from 2015. Justin Rich of Poseidon moved up from his seventh seed to take the bronze in 51.30. David Madej took fourth in 51.40, followed by James Murphy in 51.53, Thomas Cope in 51.79, Samuel Pomajevich in 51.80, and Aaron Schultz in 52.06. 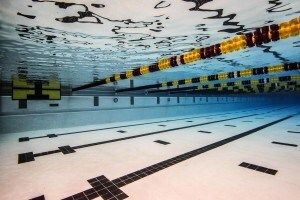 The girls’ 200 breast was a battle between 16-year-old Margaret Aroesty of Long Island and 14-year-old Kate Douglass of Westchester. Aroesty swam a stellar first half, splitting 1:12.16 to Douglass’s 1:13.94. Douglass picked it up in the second half, going 1:16.46 to Aroesty’s 1:18.19, but it wasn’t quite enough. Aroesty took the win by .05 seconds, swimming 2:30.25 to Douglass’s 2:30.40. Tonight’s swim marked personal best time for both girls. Aroesty dropped .25 seconds, moving from 20th in the All-Time Top 100 list for 15-16 year-olds to tie for 17th with Sarah Henry. Douglass dropped .60 seconds, but held her 10th-place spot. Third place went to Halle Morris of North Bay, three seconds back in 2:33.39. Madeleine Vonderhaar, who came in as the second seed, came up fourth in 2:33.46. Halladay Kinsey (2:34.78), Alexis Yager (2:35.21), Kristina Murphy (2:36.66), and Jaclyn Hill (2:40.90) rounded out the ‘A’ final. 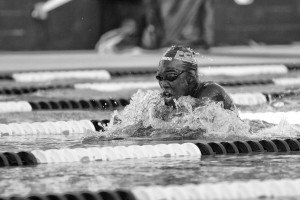 Penn Charter’s Sports Illustrated ‘Sportskid of the Year’ Reece Whitley battled it out with Michigan commit Jacob Montague for the 200 breast title. Similar to the girls’ race, Whitley went out fast, clocking a 1:04.25 split to Montague’s 1:06.03, but then Whitley slowed it down on the way to the finish with 1:10.72 to Montague’s 1:09.07. However, Montague’s closing speed wasn’t quite enough to catch Whitley, and the 16-year-old took the event in 2:14.97 to Montague’s 2:15.10. Both swimmers missed their best times by more than a little. Whitley’s National Age Group record sits at 2:11.30, while Montague ties for the 17th spot in the All-Time Top 100 for 17-18 with 2:14.37. Daniel Chang of Barracuda finished third in 2:17.93, followed by Brennan Pastorek in 2:18.83, Montague’s future Wolverine teammate Charlie Swanson in 2:19.25, 16-year-old NCAP swimmer Spencer Rowe in 2:19.84, Dayton’s Thomas Cope in 2:20.35, and NCAP’s Timothy Wu in 2:27.32. The girls’ 100 fly was an incredibly tight race between Nation’s Capital duo Jasmine Hellmer and Kylie Jordan and Razorback Taylor Pike. At the 50, Hellmer had the lead with a 28.42 split. Jordan hit second with 28.63, and Pike was close behind with 28.71. But, Jordan kicked it in the second 50 and won the event in 1:00.60, followed by her 16-year-old teammate Hellmer in 1:00.76. Pike, another 16-year-old, was third in 1:00.80. 16-year-old Molly Sheffield took fourth in 1:01.54, followed by Cailey Grunhard in 1:01.71. Elizabeth Menzmer, a 15-year-old, took the sixth slot with 1:02.12, followed closely by Skylar Fore in 1:02.14. 15-year-old Amalie Fackenthal finished eighth in 1:03.90. Camden Murphy just missed his 9th-ranked 15-16 best time in the 100 fly, a 53.79, swimming 53.95 to win tonight’s event. Nicolas Albiero moved way up in the 15-16 rankings with his second-place 54.38, going from 42nd (54.88) to 22nd. Samuel Pomajevich nabbed third in 54.87. Miles Smachlo took fourth in 55.24. Frederick Schubert, Aaron Schultz, and Dean Farris were packed in close for fifth, sixth, and seventh, with 55.55, 55.67, and 55.70. Cody Bybee grabbed eighth in 55.92. Reece Whitley basically kicked a 2:14 in the 2Breast. If this guy gets a stronger pull, yikes.